LEARN about our mission and how we utilize the network marketing business model. BUILD YOUR BELIEF - success depends upon your belief. Making a difference depends upon your belief. Your belief in network marketing, your enthusiasm, commitment, and dedication to this mission will create your success. Individually we can make a difference, but collectively we can have a huge impact. Your faith and belief that this is God’s plan for your life and the lives of those you will partner with creates your success. Treat this like a business, because we are "in the business" of feeding people and answering prayers. 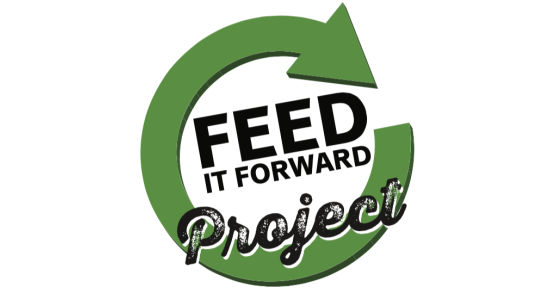 SHARE THE VISION - of “Project Feed it Forward”. TAKE ACTION - by donating 50 nutritious, high quality meals in convenient, single serving bars. Have the bars delivered directly to a charitable organization of your choice or receive the products for personal distribution to a charity that is close to your heart. 2) Place your order (Tools page, For Building section) for 5 boxes* of Meal-Replacement Bars to benefit the charitable organization of your choice. 3) Teach and mentor people on how the compensation rolls out (Tools page, For Building section). Remember, this is a teaching and mentoring business so PLEASE reach out to the person who shared this with you. They will help you with these simple steps. ENROLL partners through your back office. SIGN UP as an associate on autoship. This will ensure the “Feeding Forward” continues. This is a program of convenience where a pre-selected order is shipped each month. Autoship orders also provide additional savings and convenience. USE the order form on the Tools page, "For Building" section. ​* A 10% discount is applied on your total for ordering 6 boxes of bars. We suggest that you take advantage of this offer and keep one box of bars for yourself while donating the remainder.